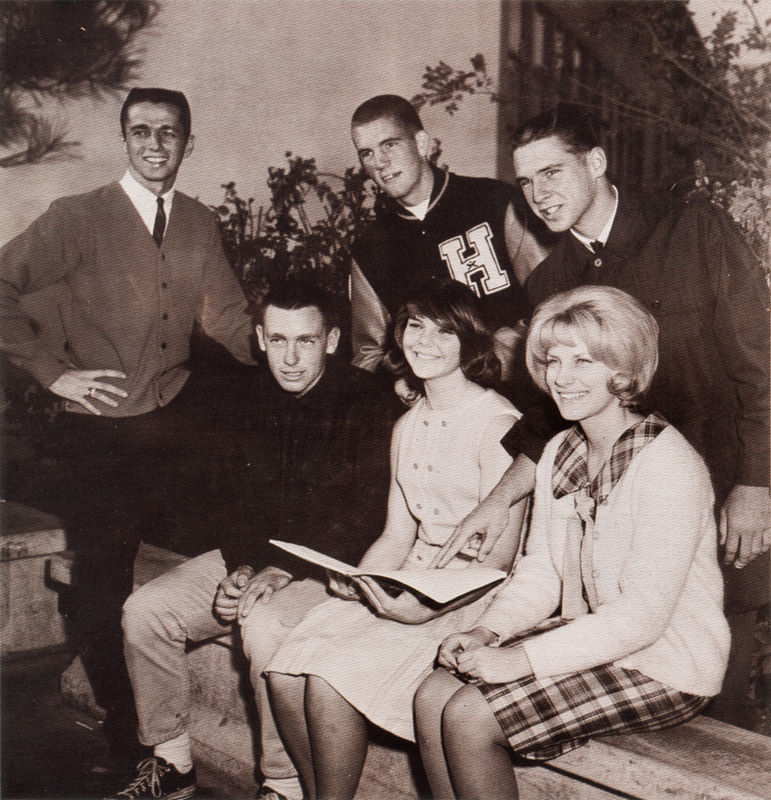 Senior Class Officers, Hart High School, 1964-65. 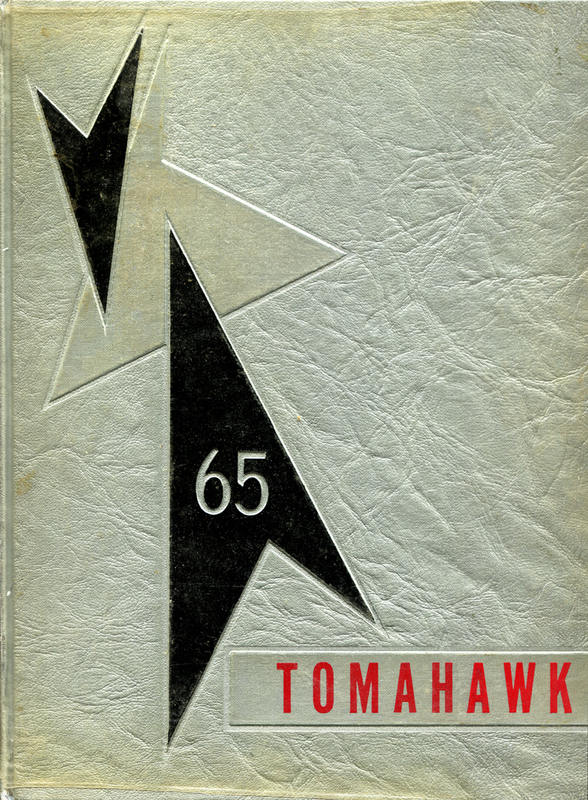 Photo from the 1965 Tomahawk yearbook. From left: Fred Trueblood, vice president; Gregg Garrett (seated), treasurer; Terry Jorgensen (in letterman's jacket), boys' representative; Daleen Heximer, secretary; Mike Nembeck, president; Anne Ristrom, girls' representative. LW2708: 19200 dpi jpeg from yearbook purchased 2014 by Leon Worden.